According to Dr. Sunday Yerumuoh, the Director of Primary Health Care in Akoko-Edo Local Government Area of Edo, exclusive breastfeeding of every infant for the first six months would give them access to vital nutrients for growth. He said adequate breastfeeding provides necessary nutrients in the first six months of life that would enhance a child’s physical and mental development. 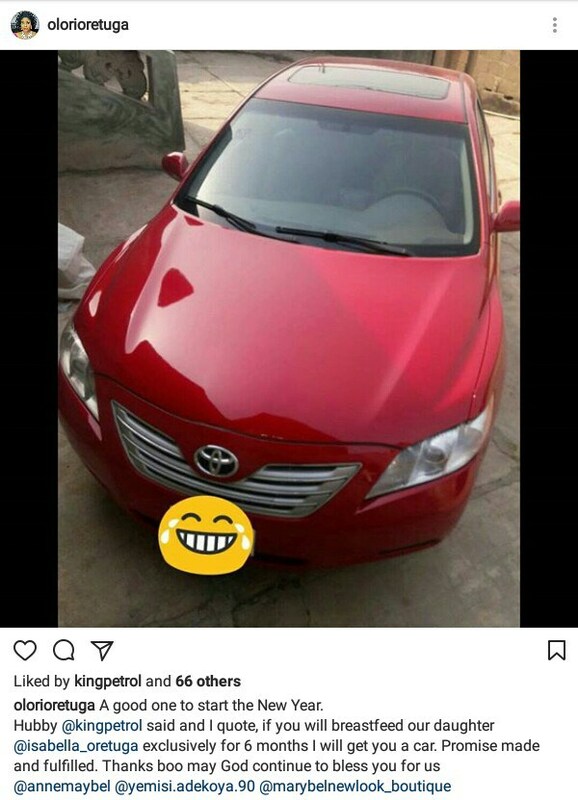 In a relation to this, a Nigerian, Omo Olope bought his beautiful wife a brand new car, after she fulfilled her promise of exclusively breastfeeding their daughter for good six months. 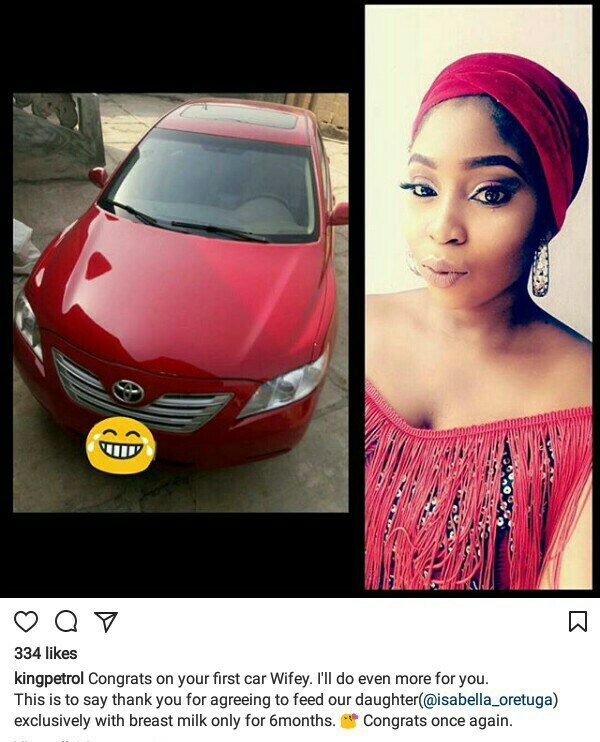 After the birth of their daughter, the husband requested from his wife to breastfeed their daughter for 6 months, exclusively, and if of course she keeps to her end of the “promise”, he’d buy her a brand new car … and he fulfilled his promise. “A good one to start the New Year. Hubby @kingpetrol said and I quote, if you will breastfeed our daughter @isabella_oretuga exclusively for 6 months I will get you a car.